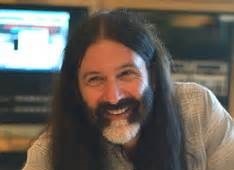 Since 1981, William Pierre Robert has been a highly popular on-air personality for 93.3FM WMMR in Philadelphia, one of the nation's most recognized rock music stations. He is host of the nationally-syndicated "Classic Rock Live," which airs every Wednesday evening on The Eagle. Back in Philadelphia, he is known as WMMR's most identifiable personality, and is often described as a hippie by many locals. Robert is also famous for addressing his listeners as "citizens," as well as saying "Great day in the morning!" Robert also holds significant stature in the American rock music industry, where he is held in high esteem by many rock musicians and groups, many of whom have granted Robert rare interviews and appeared in person on his program. Pierre Robert (pronounced "row-BEAR") began his radio career at 94.9 KSAN-FM, one of the country's first progressive rock stations, in his hometown of San Francisco. When KSAN changed its format to an Urban Country & Western style in the early 1980s Robert assumed the on-air name "Will Robertson" for a brief period of time because he was morally opposed to the new format. Not long after, Robert joined a friend destined for school and moved to Philadelphia in Robert's 1970 Volkswagen van (named Minerva) with bald tires. He sent 93.3 WMMR a demo tape but was initially turned down. Pierre took a job at Essene, a health food store and vegetarian restaurant, until a fateful day at a palm reader's table on South Street in Philadelphia, where he was told "you're gonna get a letter very soon." This letter was waiting for him at home and was from Joe Bonnadonna (then WMMR's station manager) indicating there was an opening. Robert joined WMMR in 1981. Robert has admitted that he does not follow Philadelphia sports. He typically refers to all Philadelphia sports teams as "The Boys in Blue" regardless of the actual team colors.